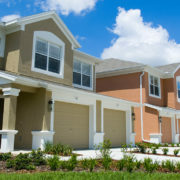 Landlords and Property Managers have used Color Restoration & Construction, LLC to maintain the beauty and longevity of their edifices and large residential structures since 2002. Having a fresh look on your building is important to convey your company’s successful image. We know what it takes to complete a project professionally, on time and within budget. 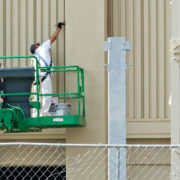 We also assure that you choose the proper product, shade and finish to uphold the value of your business or residential community.​​ Color Restoration & Construction, LLC professionals are trained and equipped to paint large and high-rise structure exteriors. We also offer full-service interior painting with specialized wall, walkways and floor applications of all types. Color Restoration & Construction, LLC has been providing Interior and Exterior painting of Residential and Commercial structures for over 16 years. In 2002 Edward started out painting in the Ft. Lauderdale area. 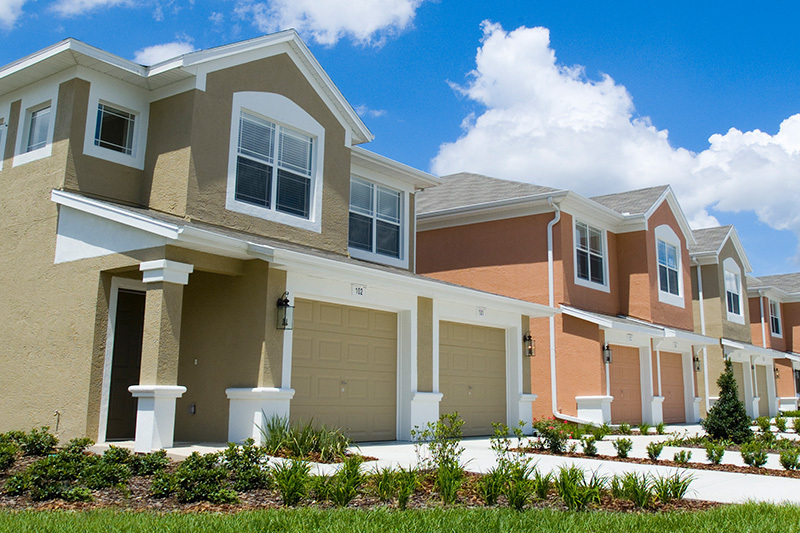 Sixteen years of hard work and honest dealings with neighbors and businesses in Broward County’s developing communities were the building blocks for Color Restoration & Construction, LLC. 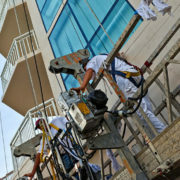 At Color Restoration & Construction, LLC honor and responsibility are not just words. We stand by our workmanship and the products we use. We offer our personal two-year guarantee for workmanship on newly painted surfaces against chipping, flaking, or peeling…supported by full manufacturers product warranties. 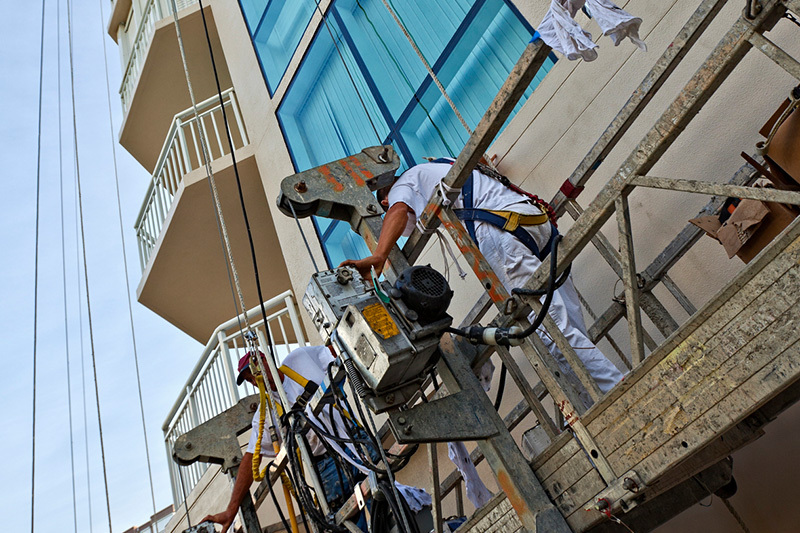 ​Color Restoration & Construction, LLC professionals are trained and equipped to paint large and high-rise structure exteriors. We also offer full-service interior painting with specialized wall, walkways and floor applications of all types. No matter what type of business you own, our licensed and insured professionals will provide you with prompt service at a fair price. 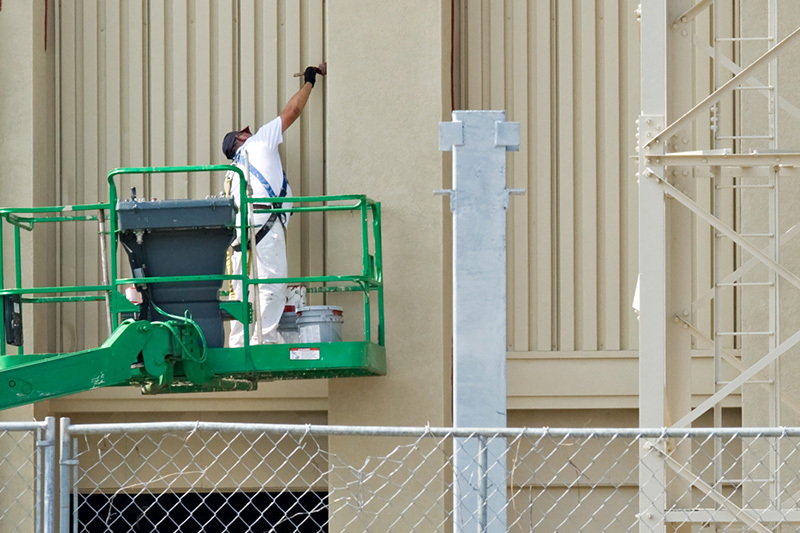 Our scope of industrial site painting, preparation and coating includes metal structures, warehouses and commercial facilities. It often incorporates extensive surface preparation and specific high-performance coatings. ​We know site supervisors can have a hard time finding qualified industrial paint services to facilitate large-scale projects. Often industrial sites pose extreme challenges that may hinder small-business painters from performing the job. At Color Restoration & Construction, LLC we’ve got the know-how and the experience.